Use code CollOne to get 40% off your first order of any Art 3D Collage. 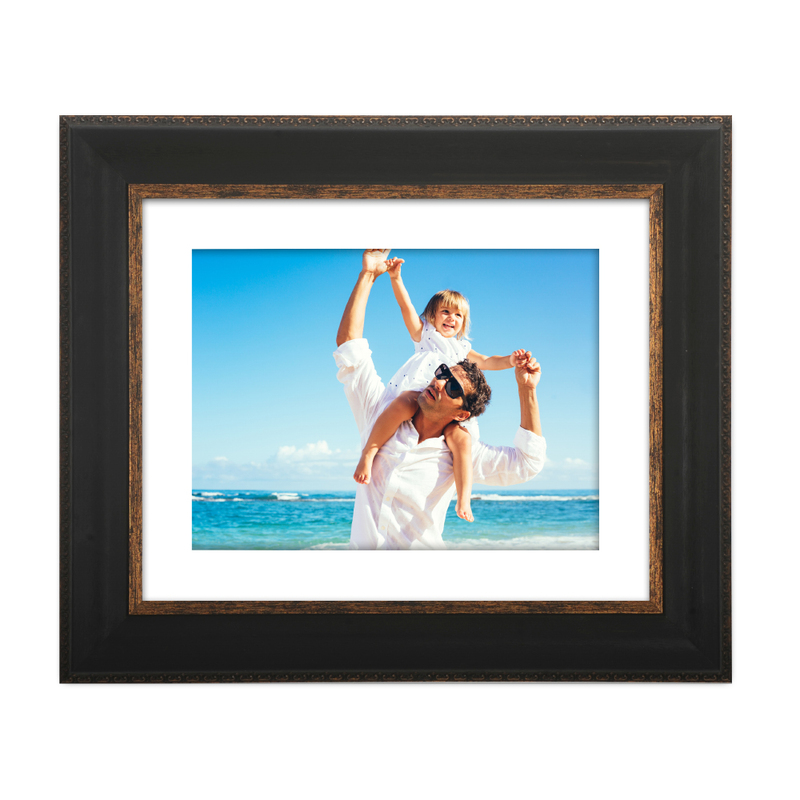 This code is one-time use code and only for your first purchase of this product. We reinvented the cluster with 3D collages! 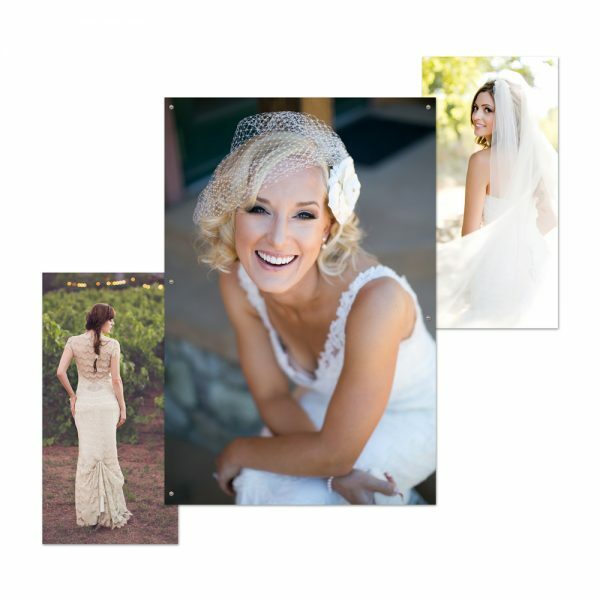 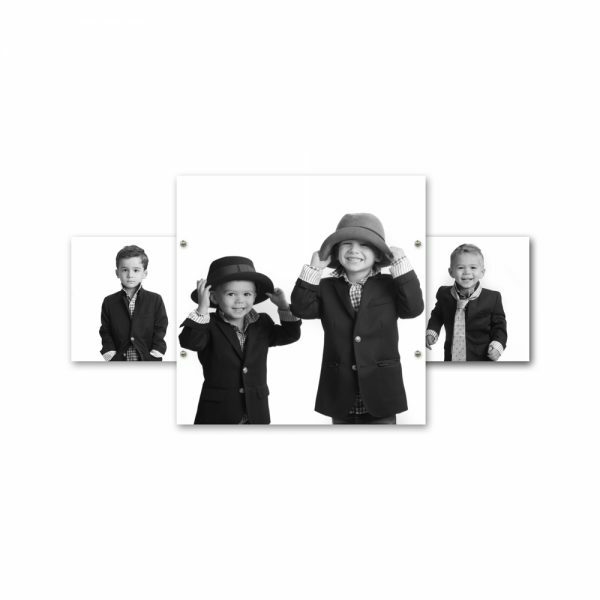 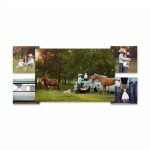 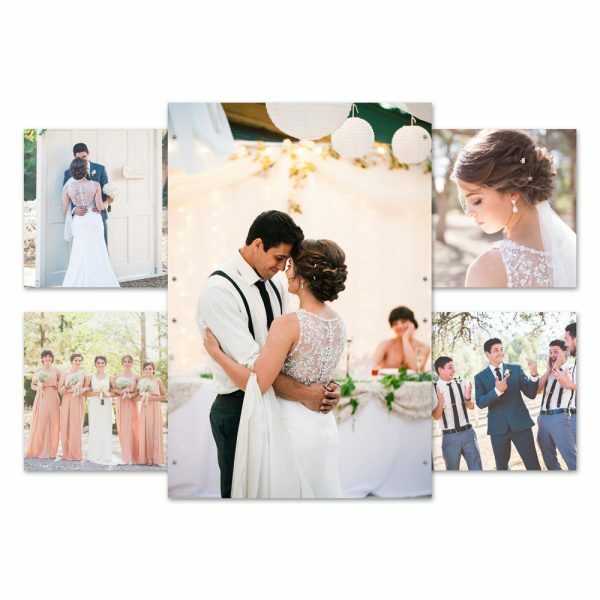 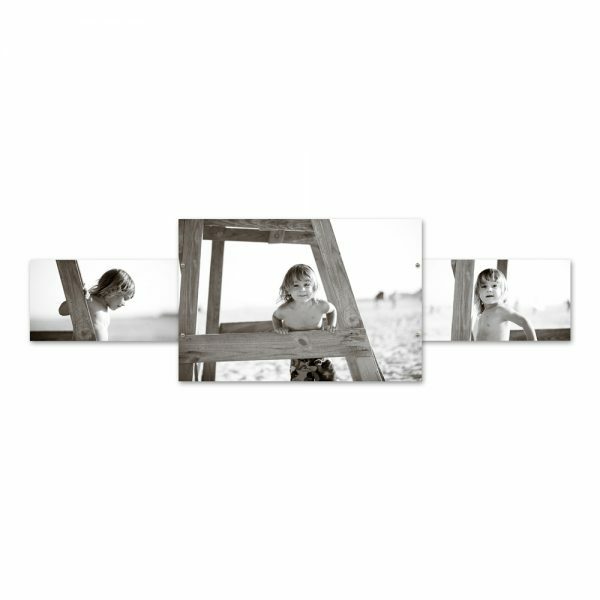 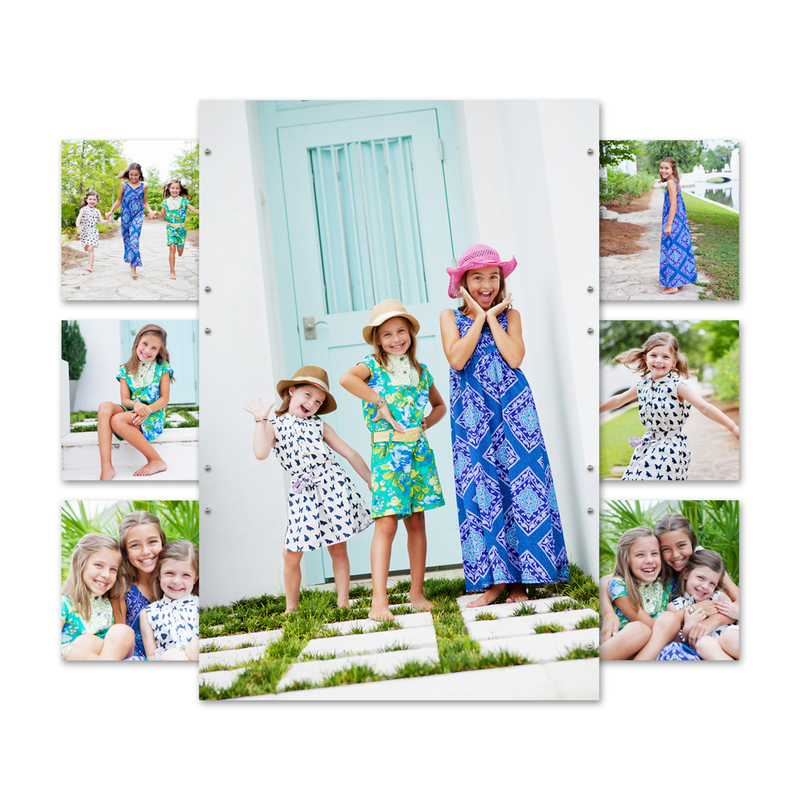 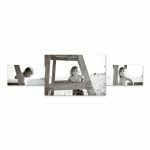 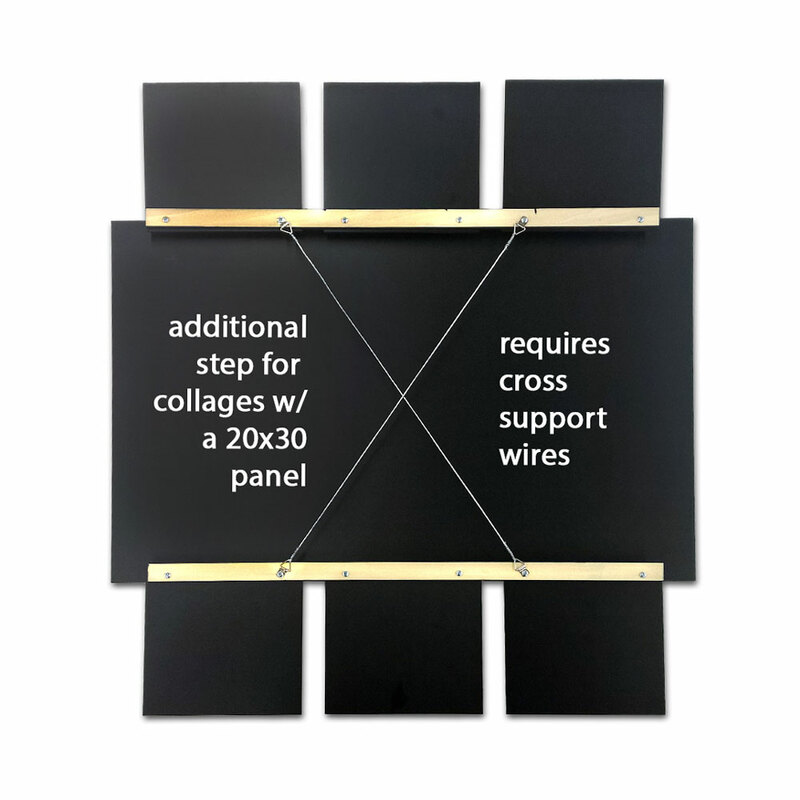 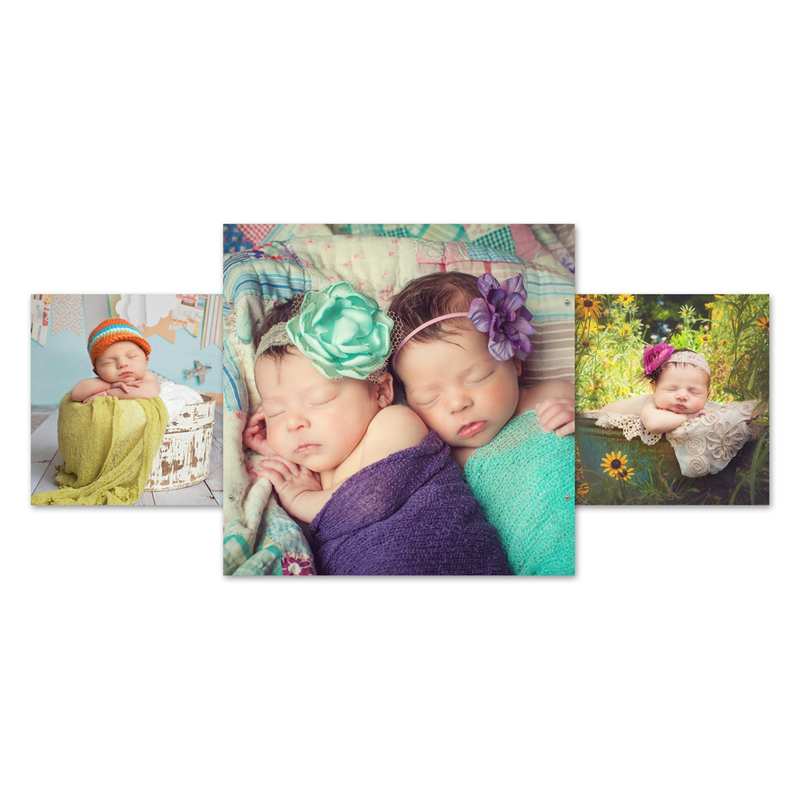 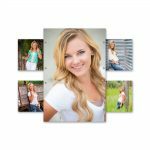 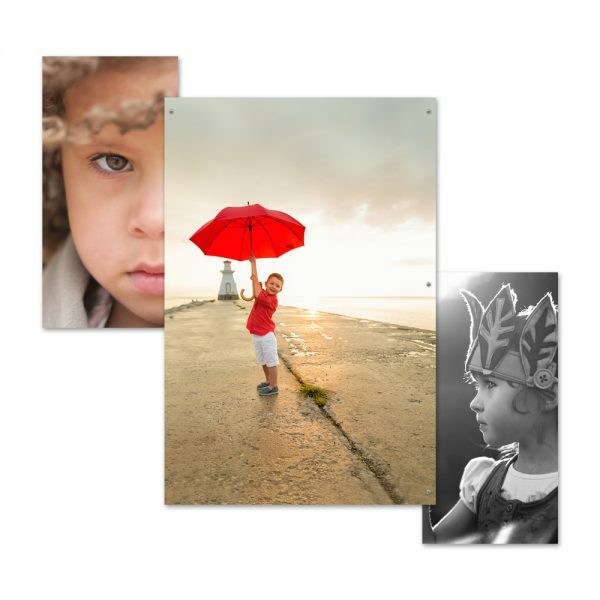 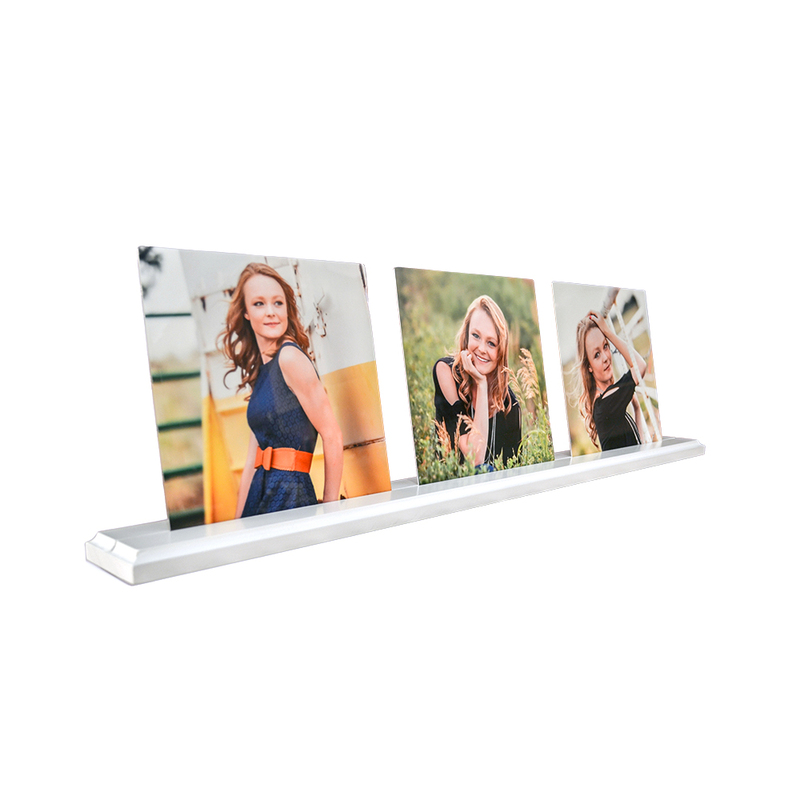 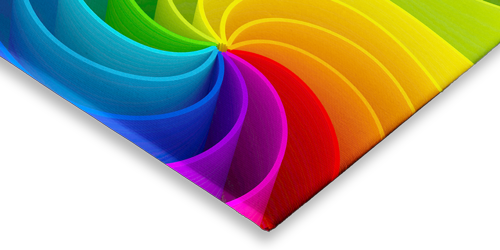 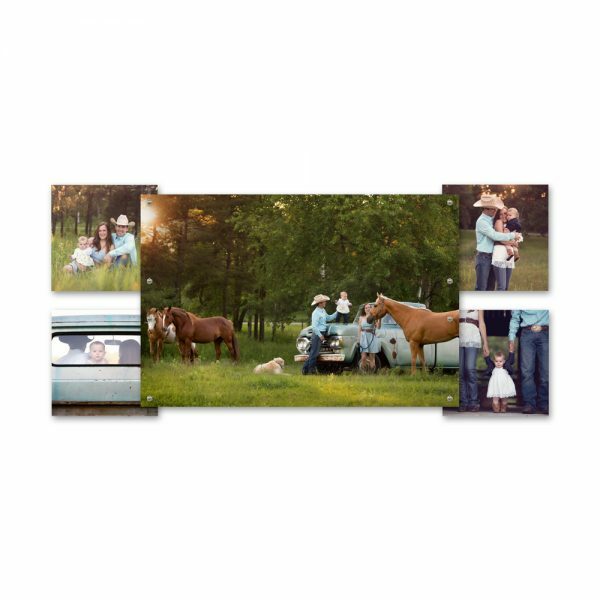 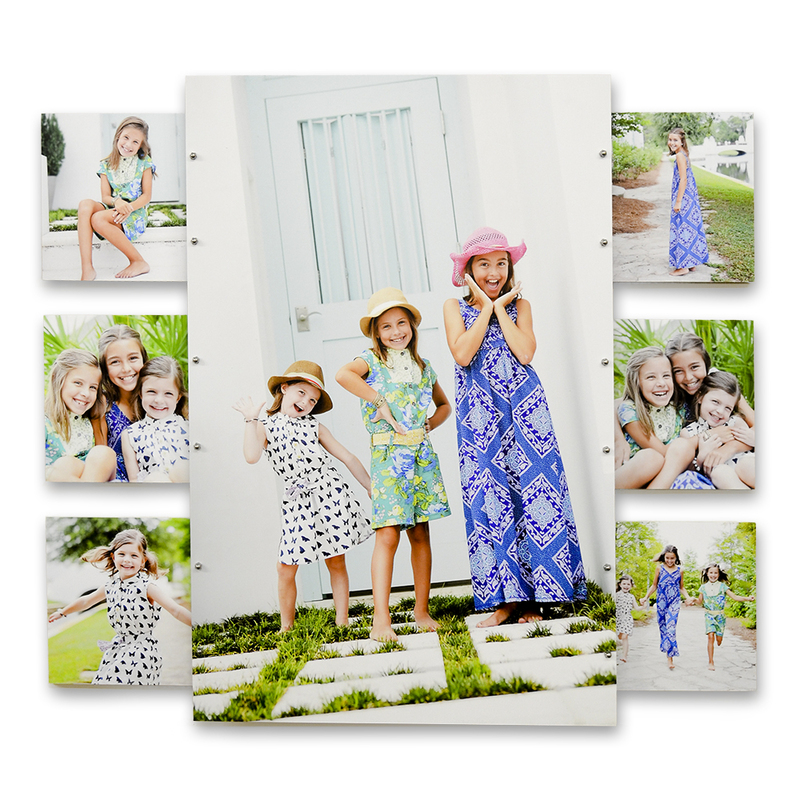 With 20 designs to choose from, this Simply Color Lab exclusive lightweight, interconnected construction displays 3-7 images and is super easy to install! 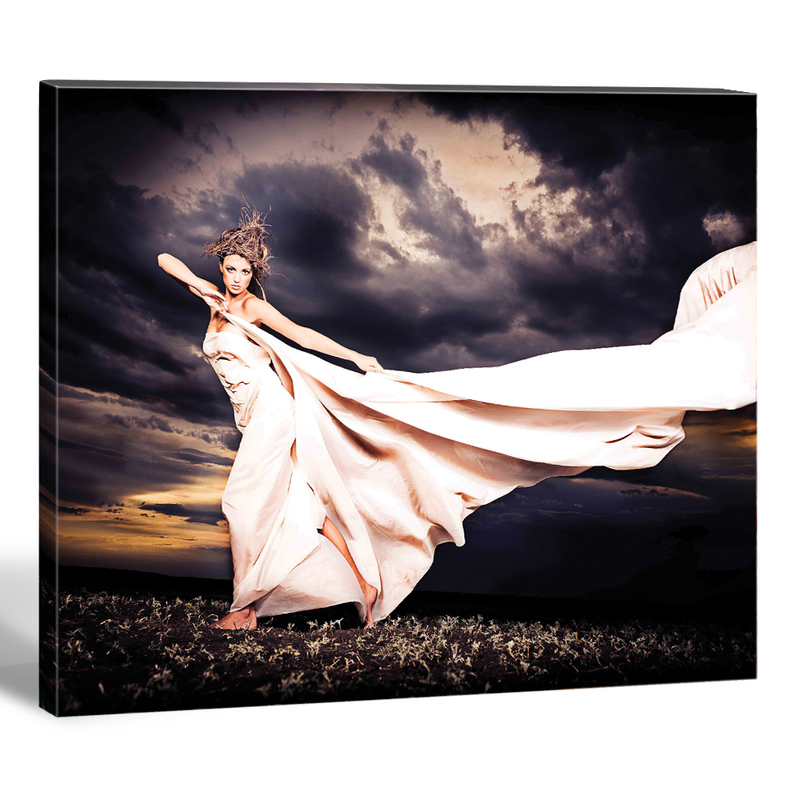 Available in 3 Finishes: Canvas, Fine Art Mounts or Metal. To order 3D Collages select “3D Collages” in ROES. The production turn-around time for 3D Collages is 3 Business Days. 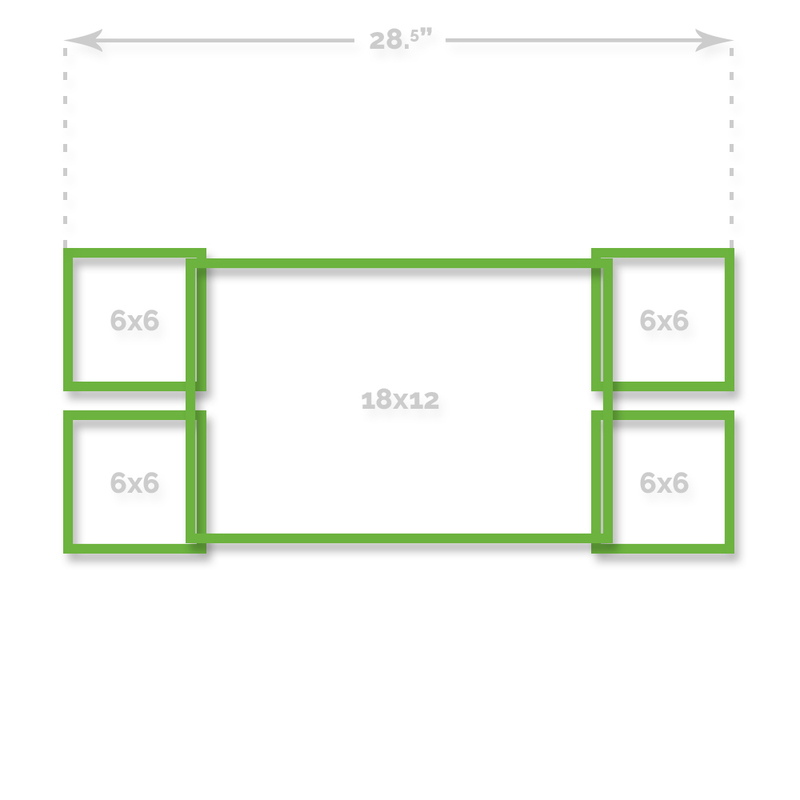 How do I file prep for 3D Collages? 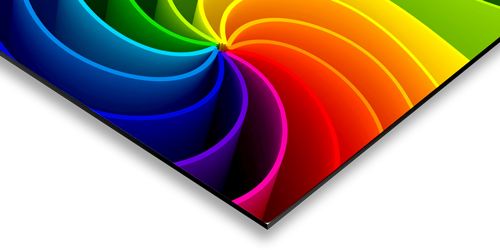 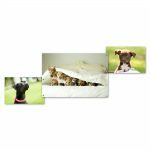 If ordering a canvas 3D Collage, please submit your file as a JPEG at 100ppi. 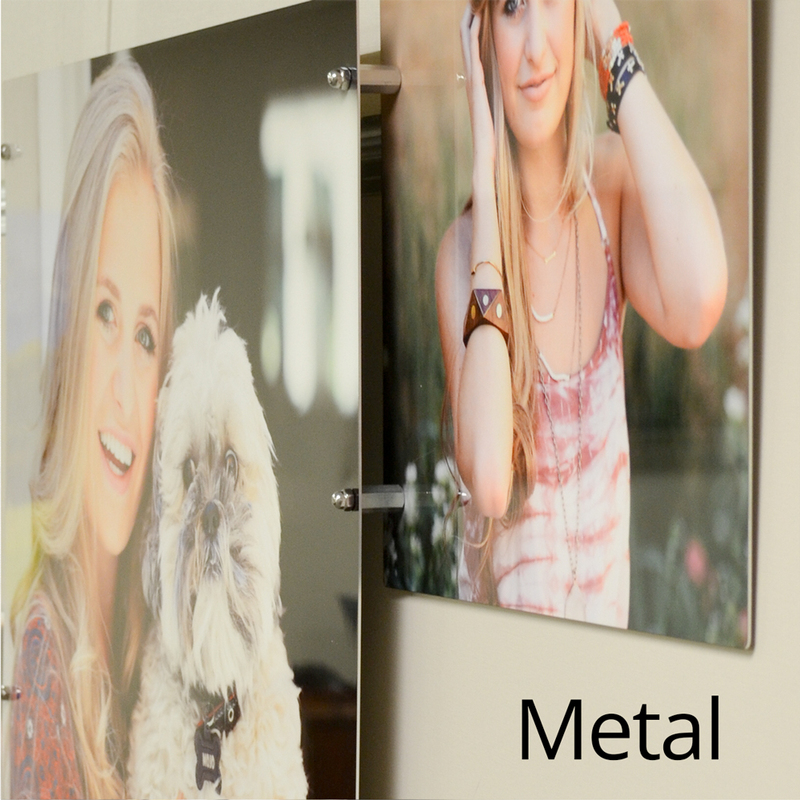 If ordering a metal or fine art mount 3D Collage, please submit your file as a JPEG at 200ppi. 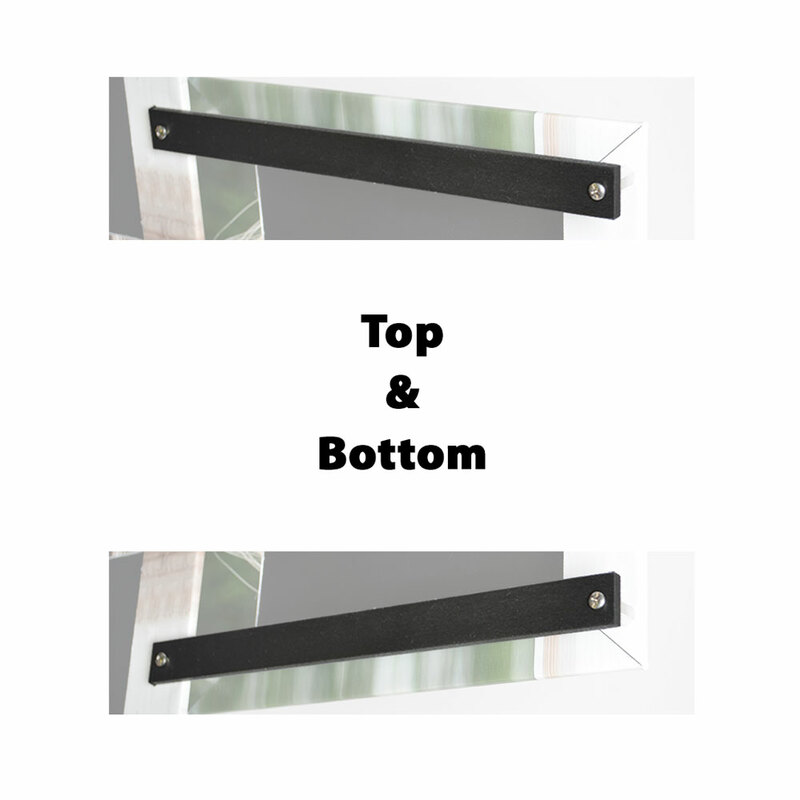 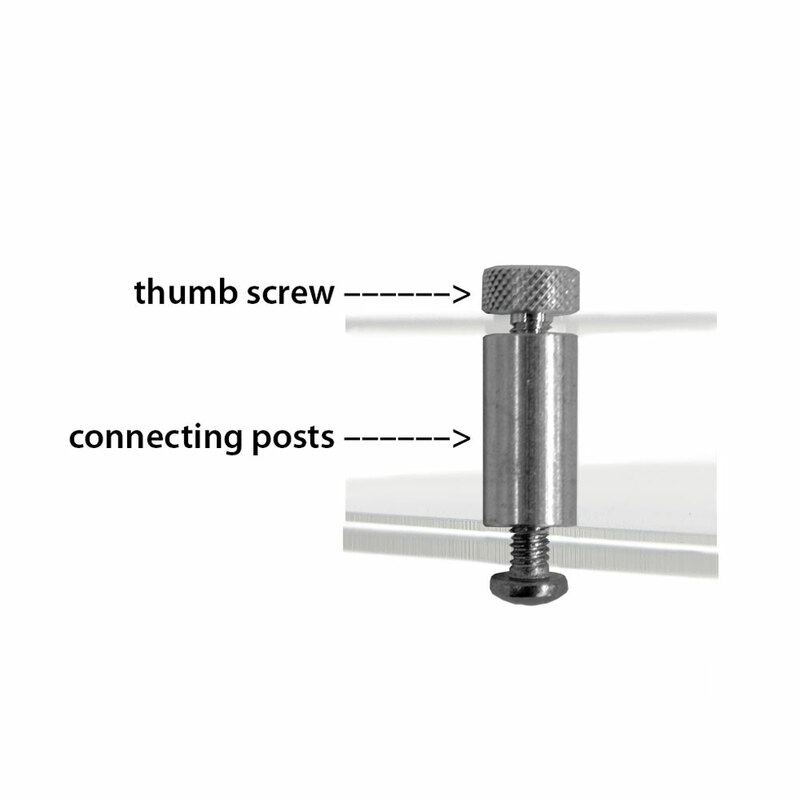 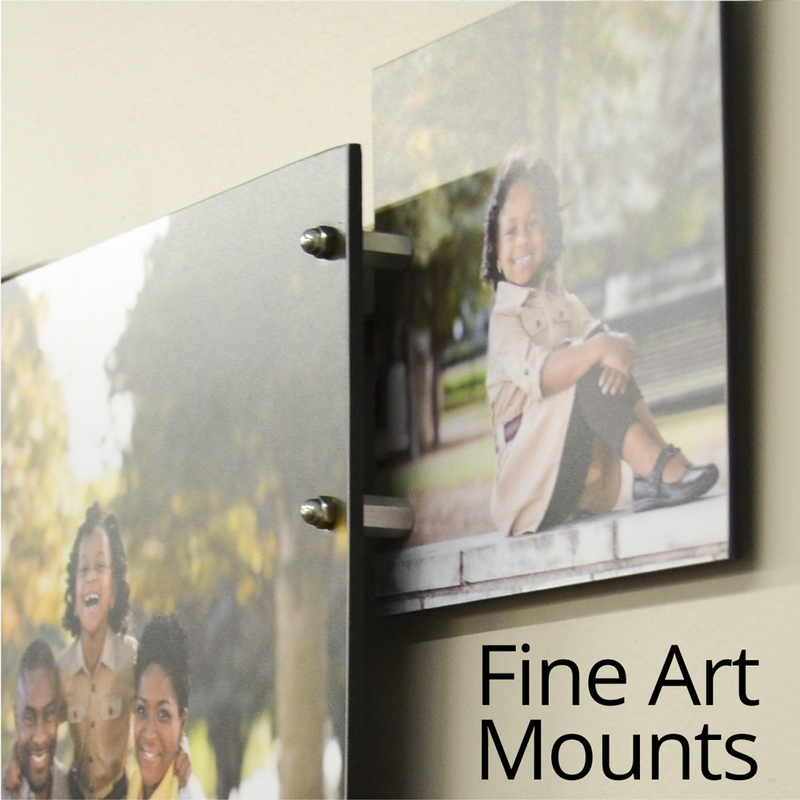 Downloadable templates are not needed for Metal and Fine Art Mount 3D Collages. 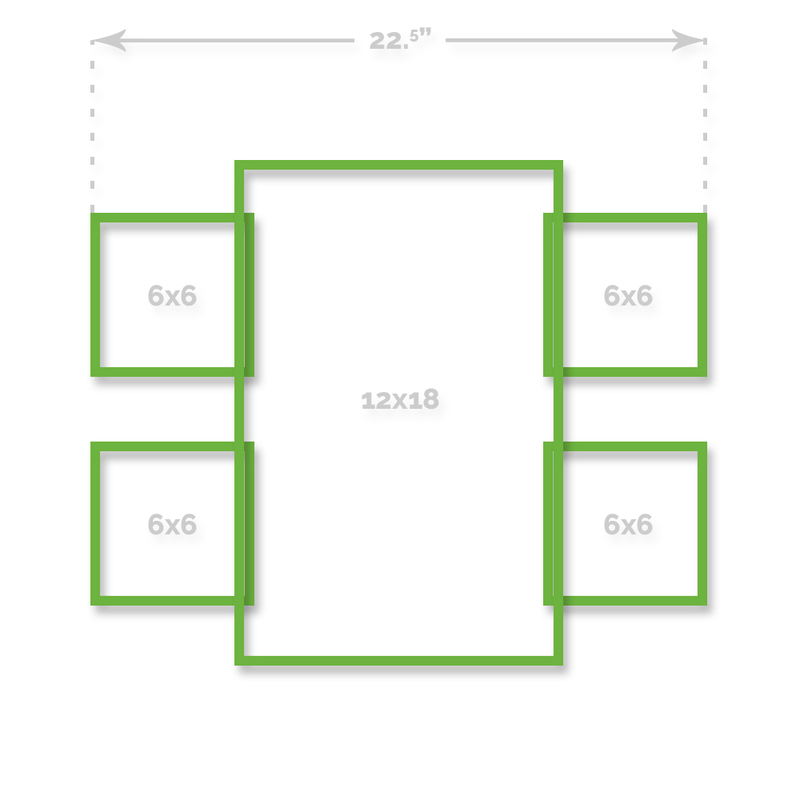 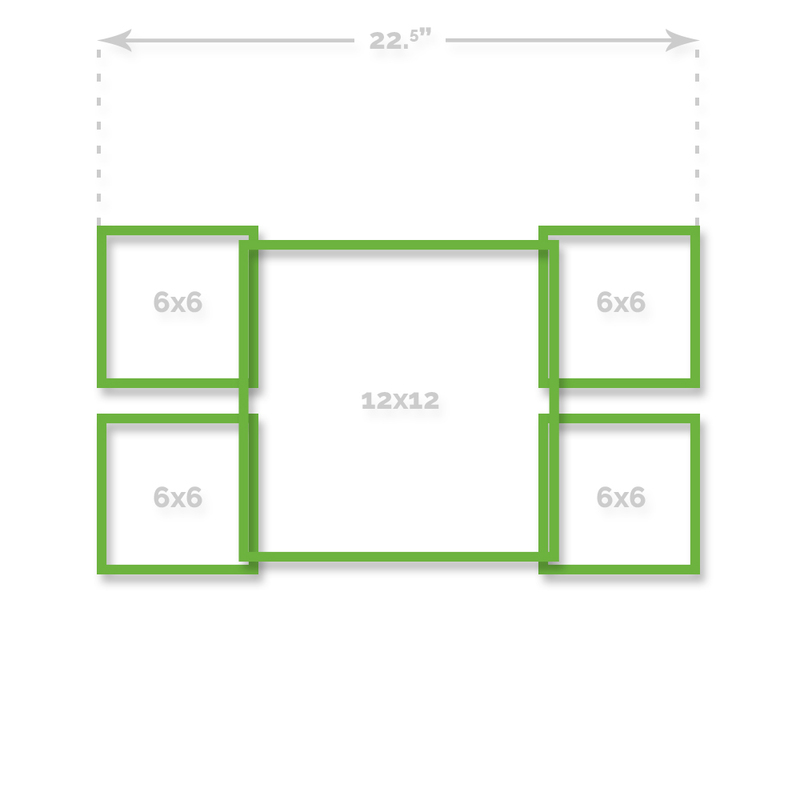 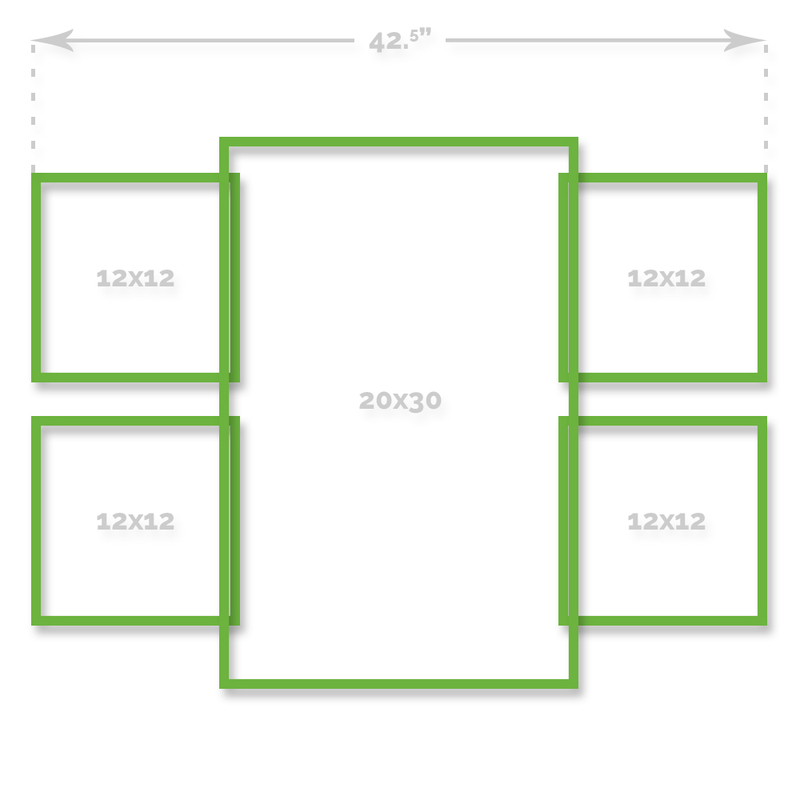 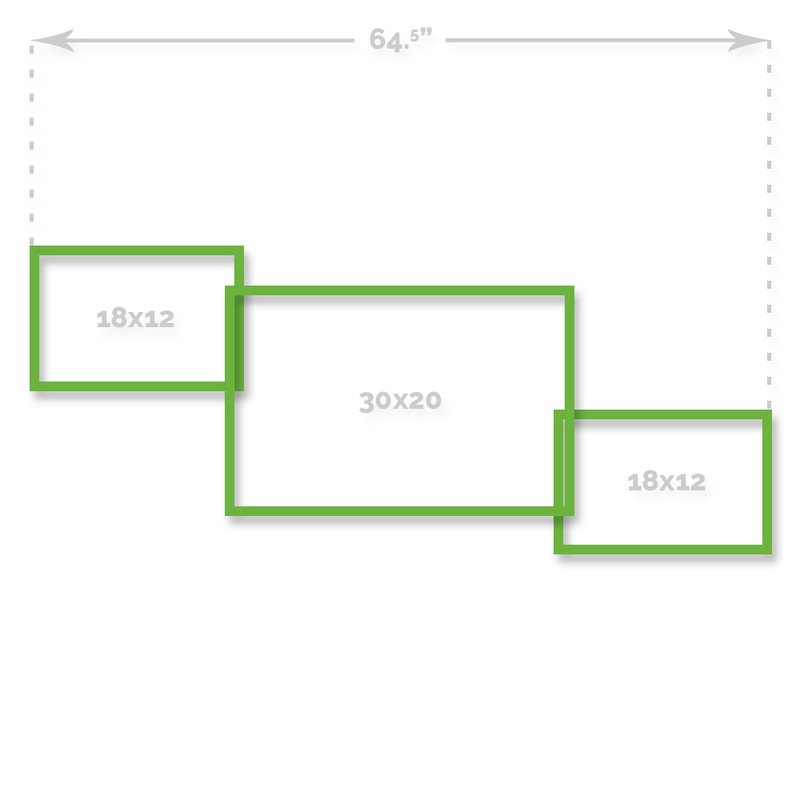 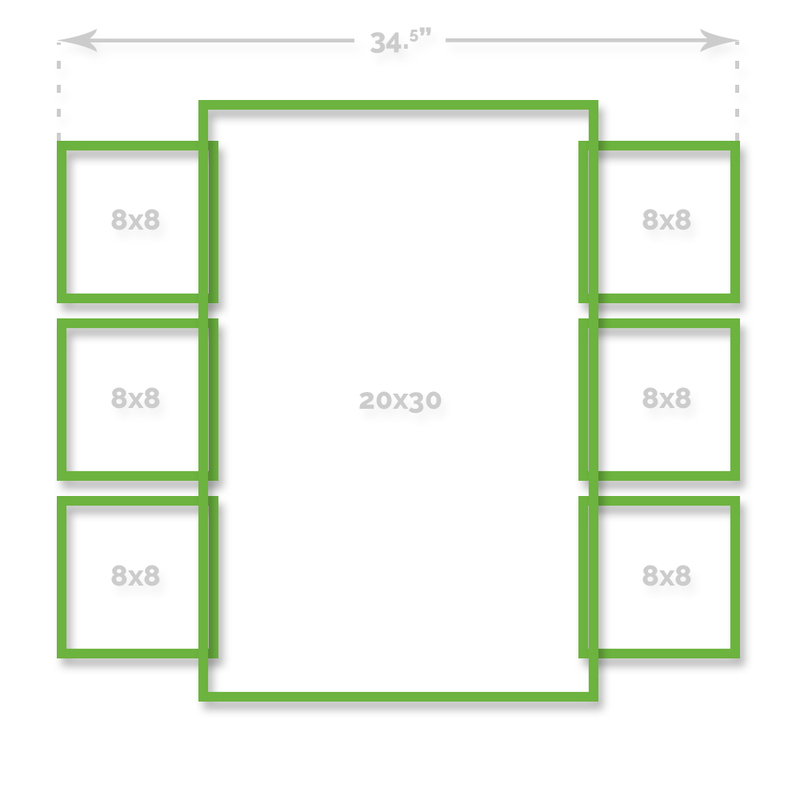 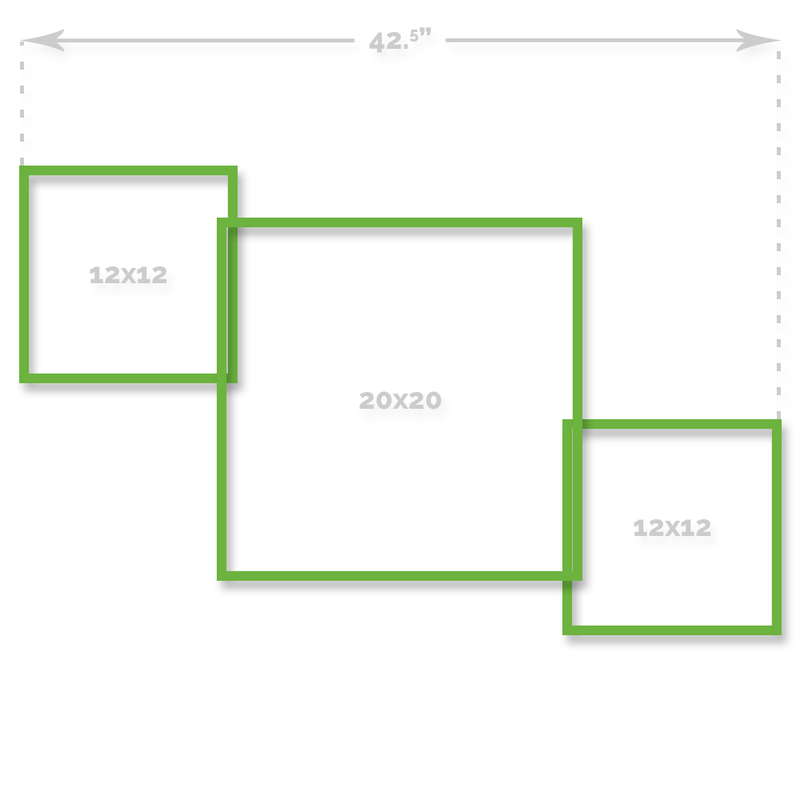 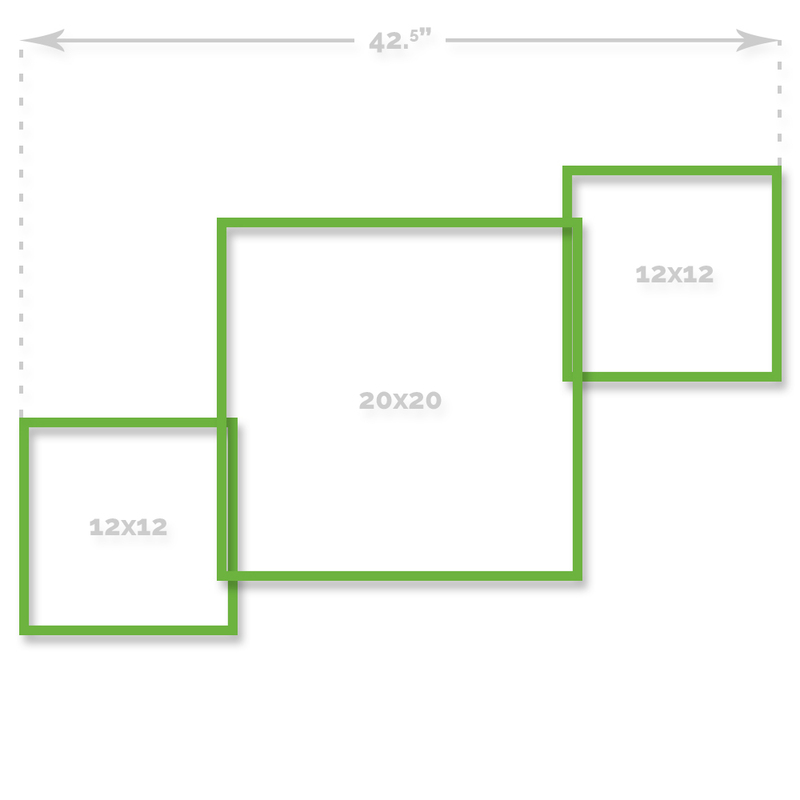 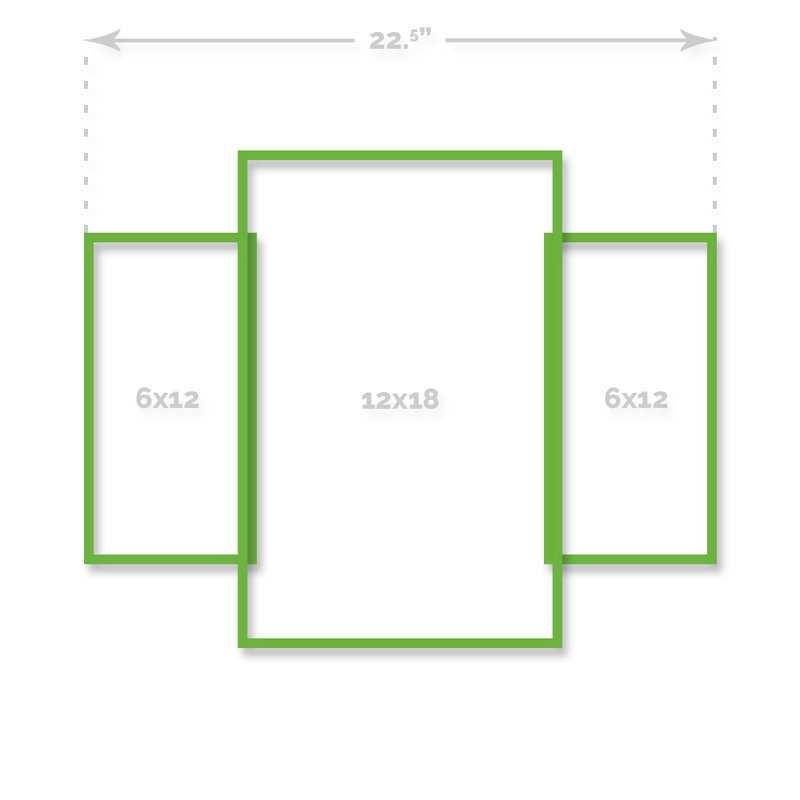 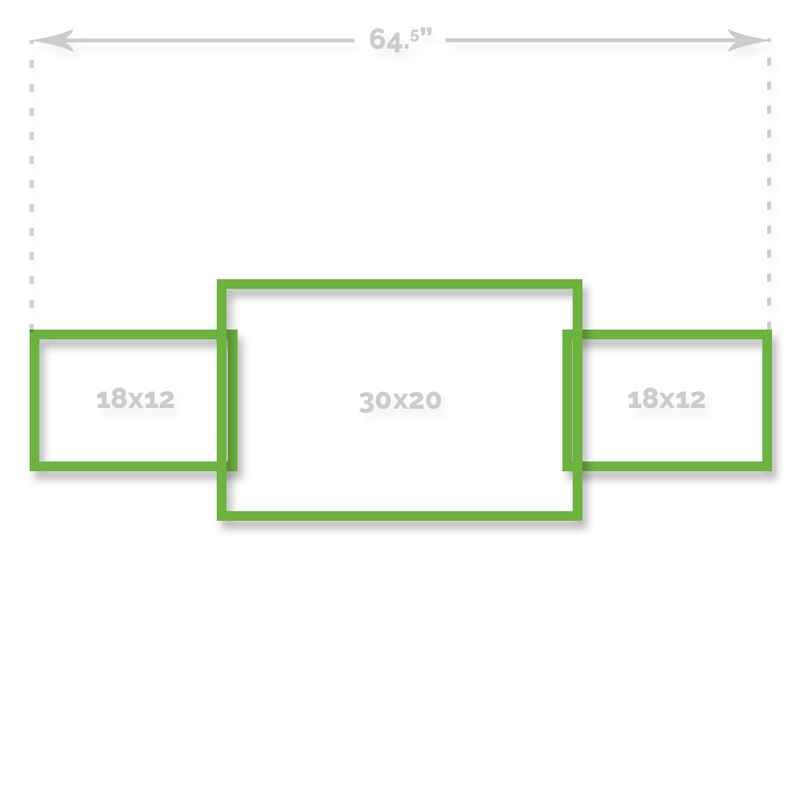 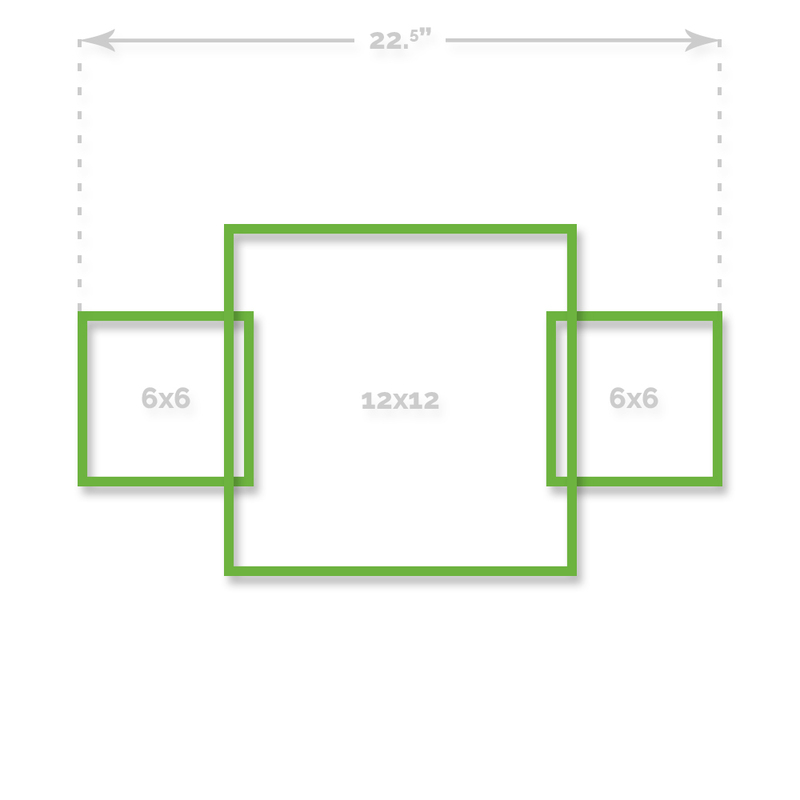 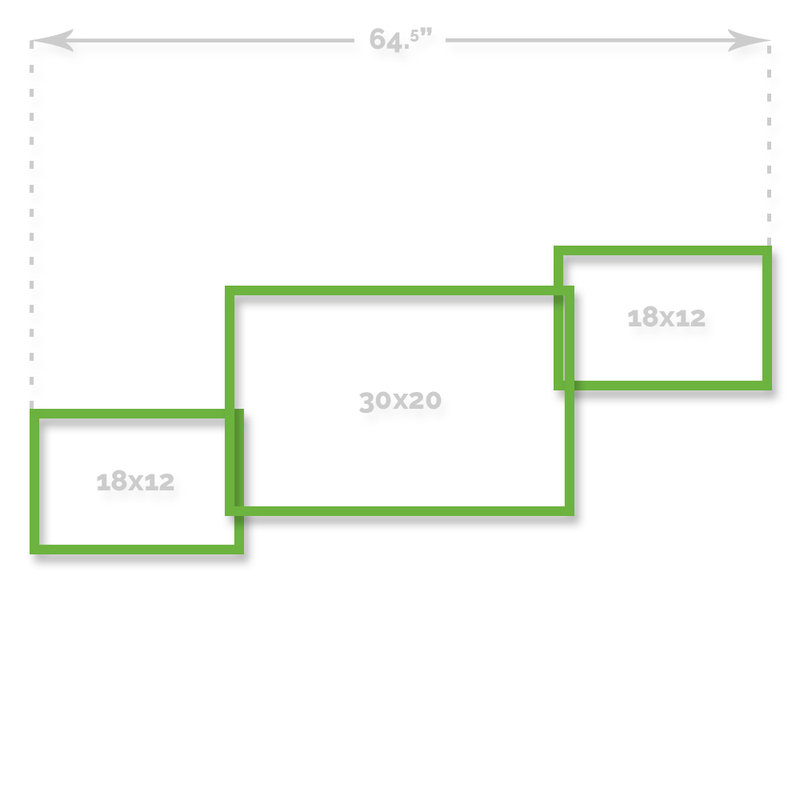 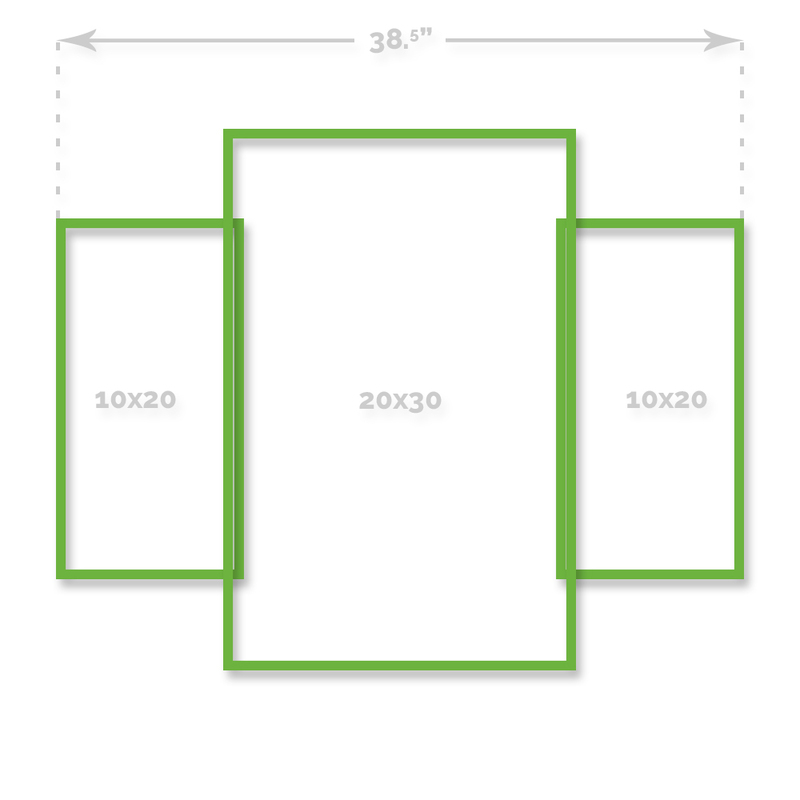 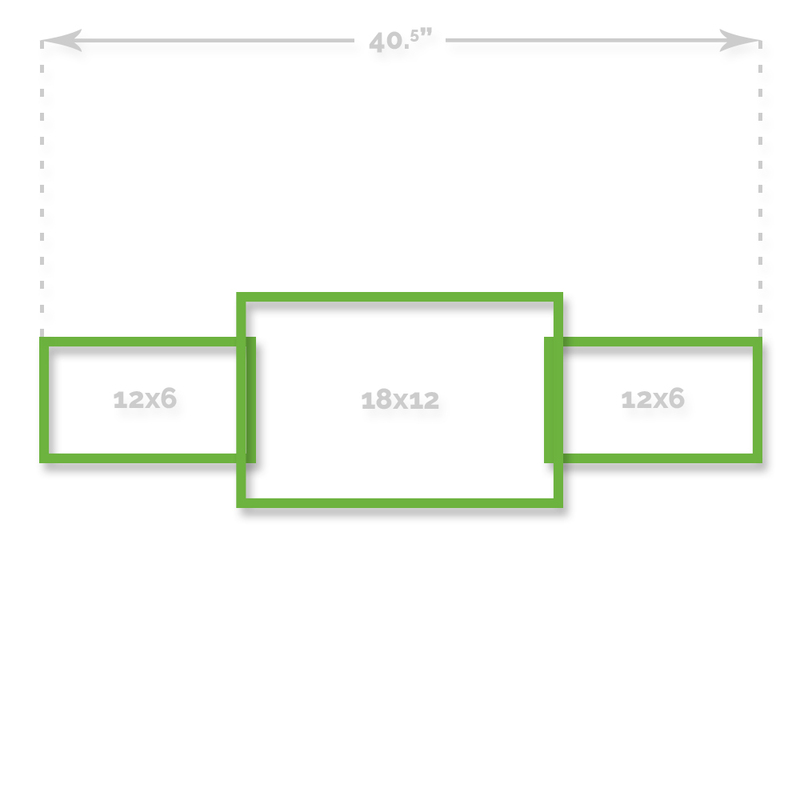 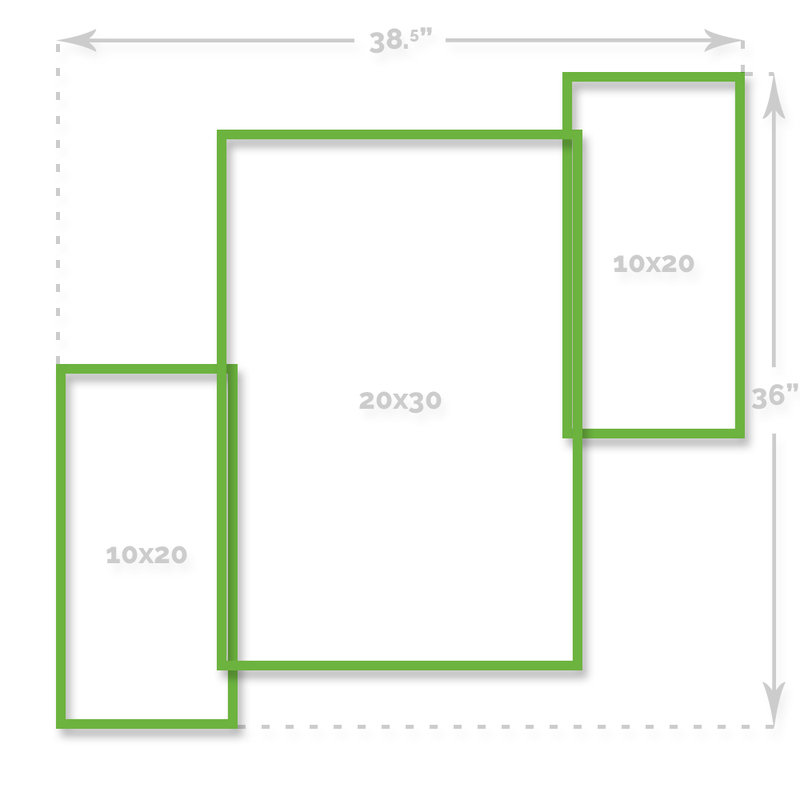 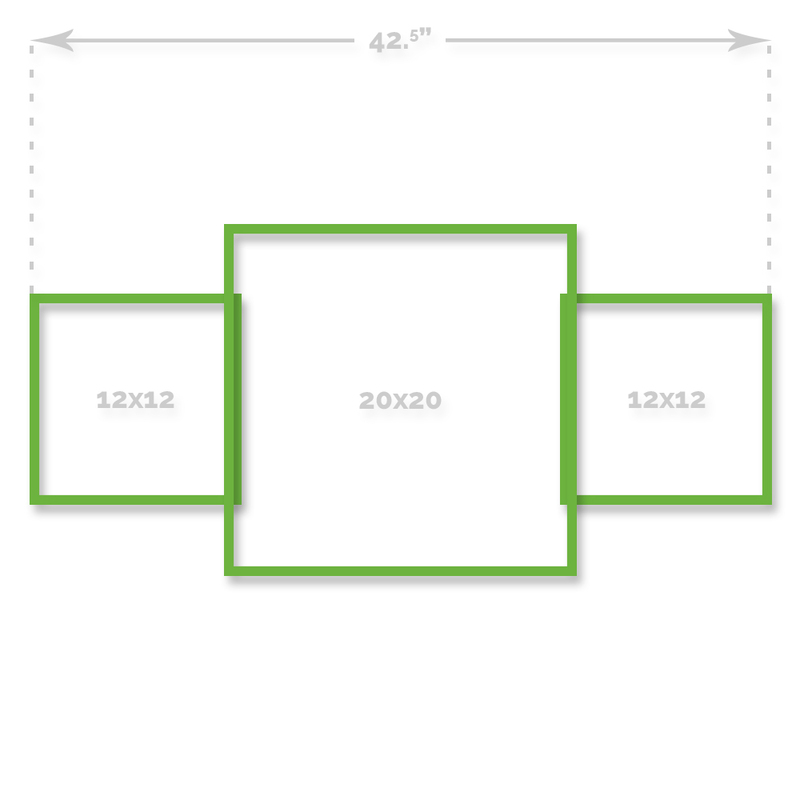 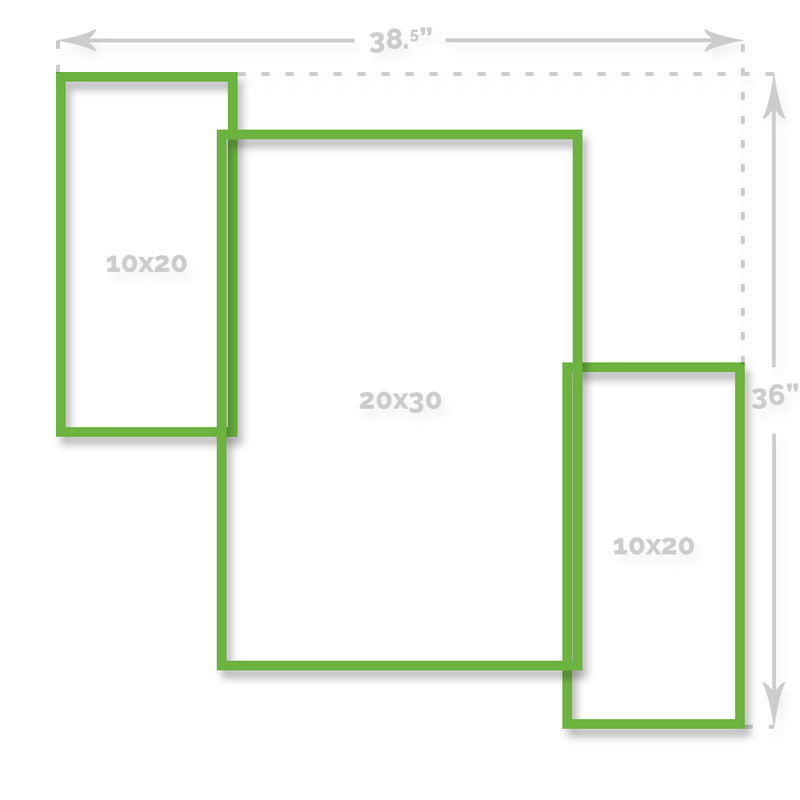 However, we do suggest you download our template for the Canvas 3D Collage since it needs a 2 inch bleed on each side. *You can order 3D Collages under the 3D Collage product catalog in ROES. 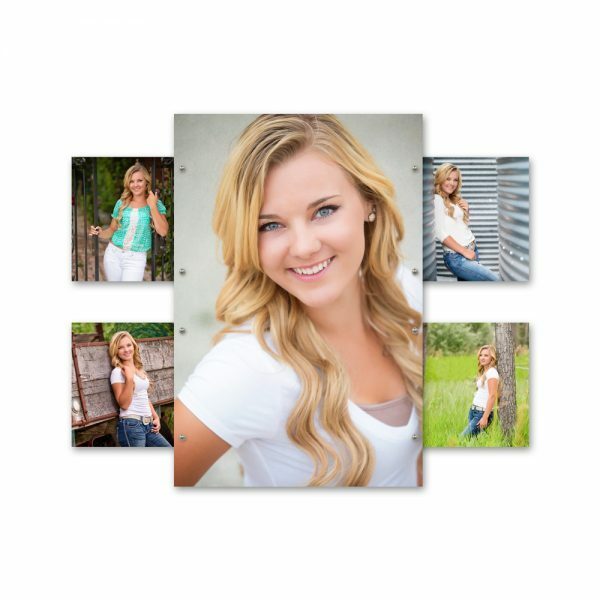 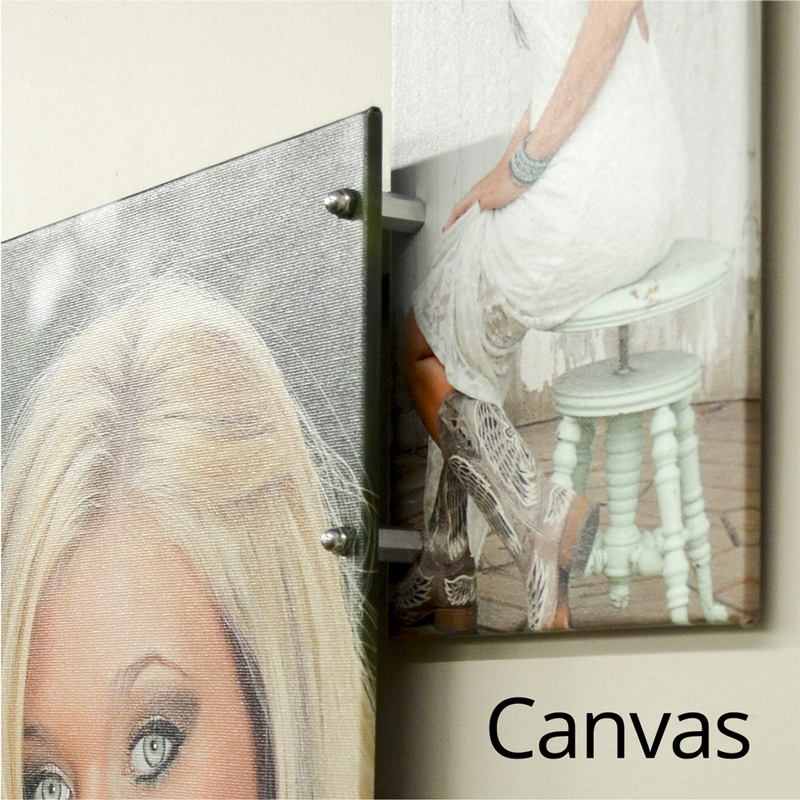 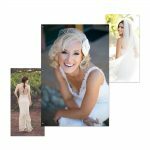 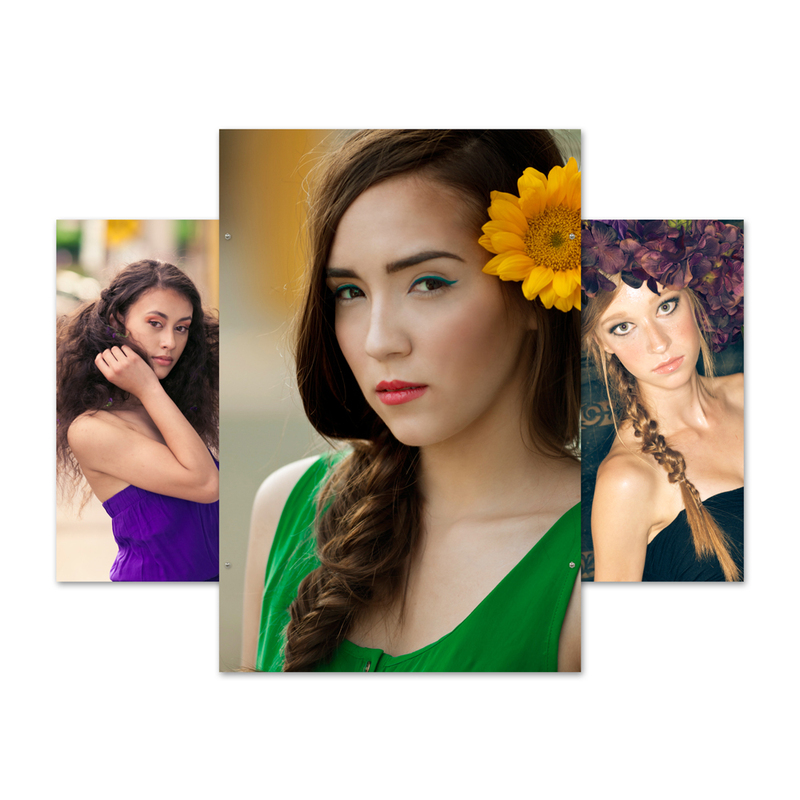 Once you are in the 3D Collage product catalog, choose either canvas, metal or fine art mounts. Once you choose your type of collage there will be a tab in the catalog that represents Clusters 1-17. 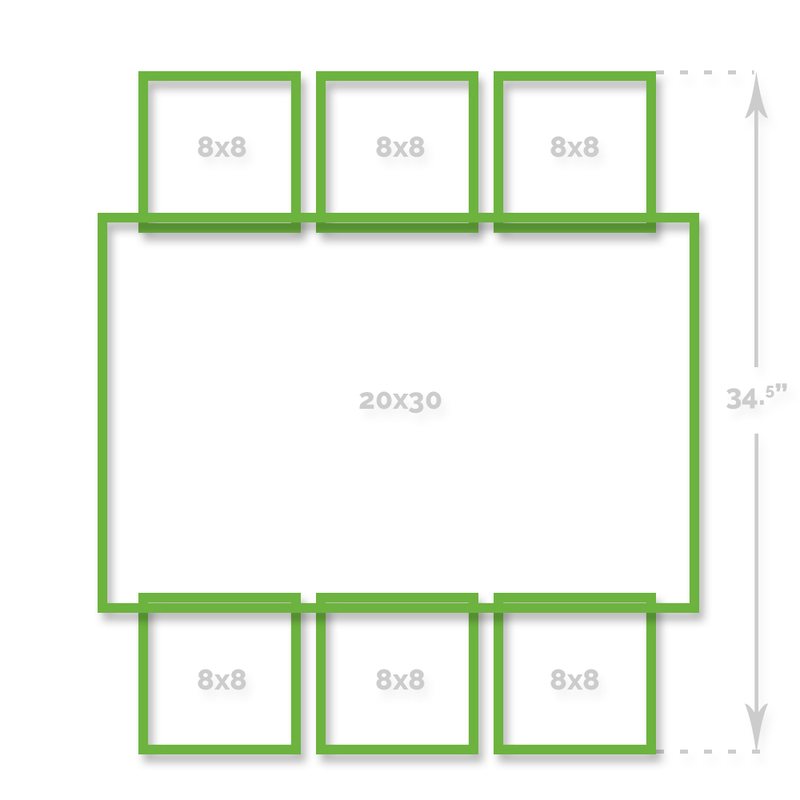 Locate the appropriate cluster, drag and drop your images and then add to cart. 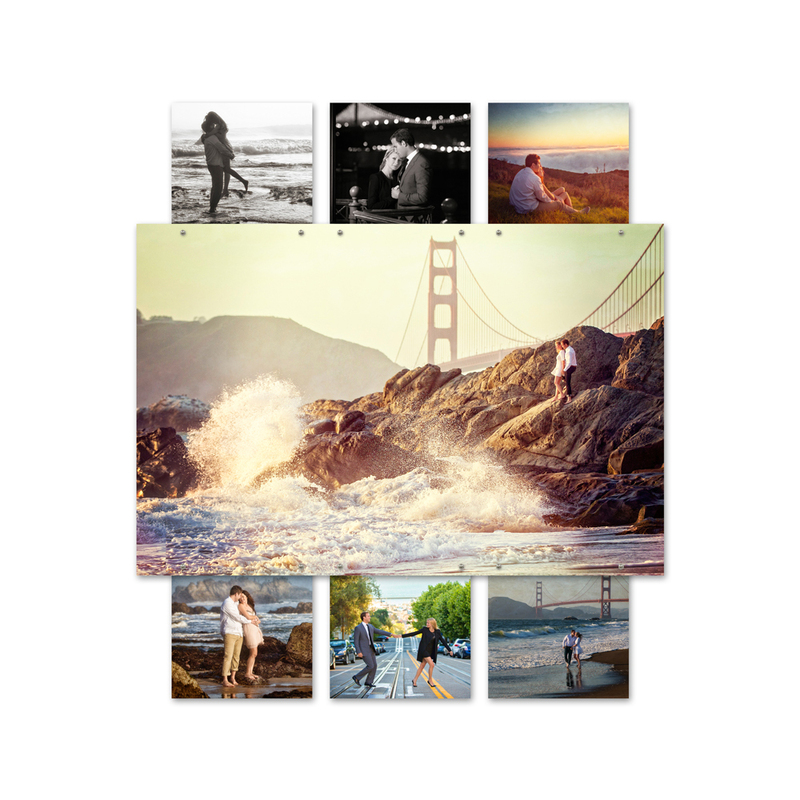 40% off Your First 3D Collage *Enter code CollOne in the Discount Field in ROES to receive 40% off one 3D Collage. 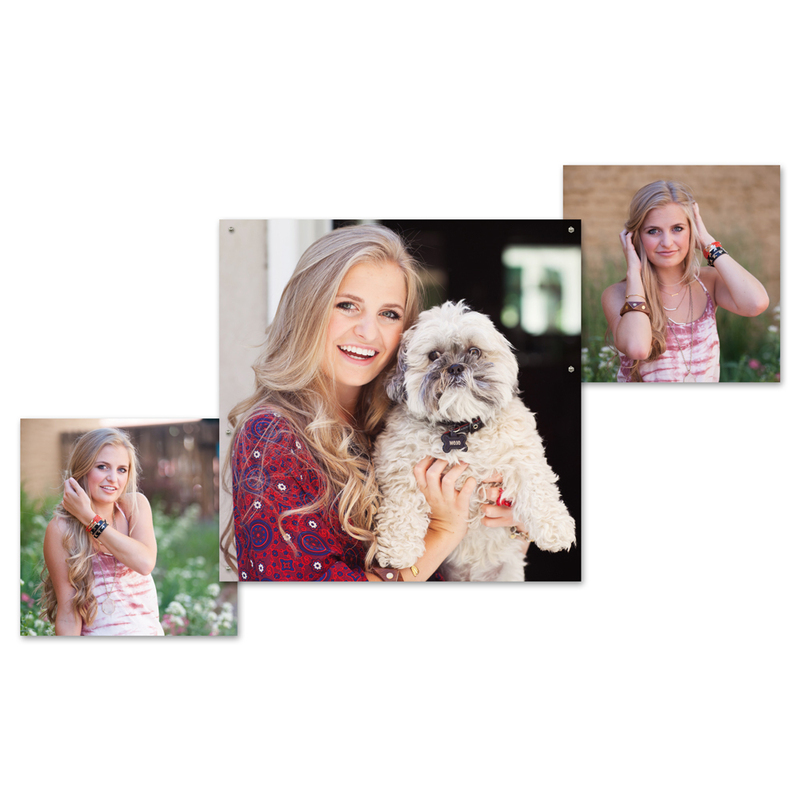 This code is a one-time use only and only for the first purchase of a 3D collage. 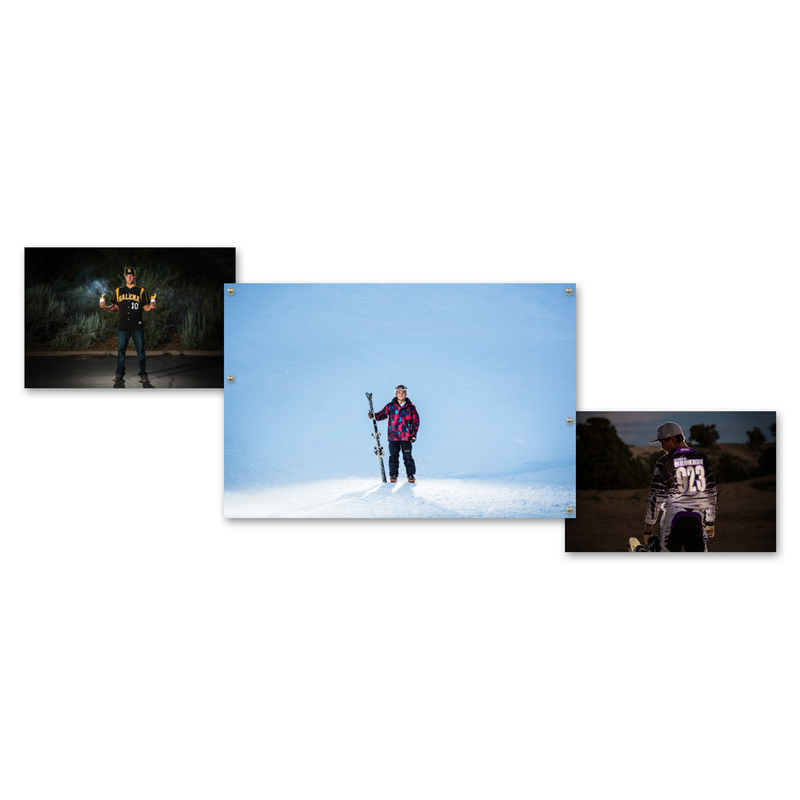 Options are included. 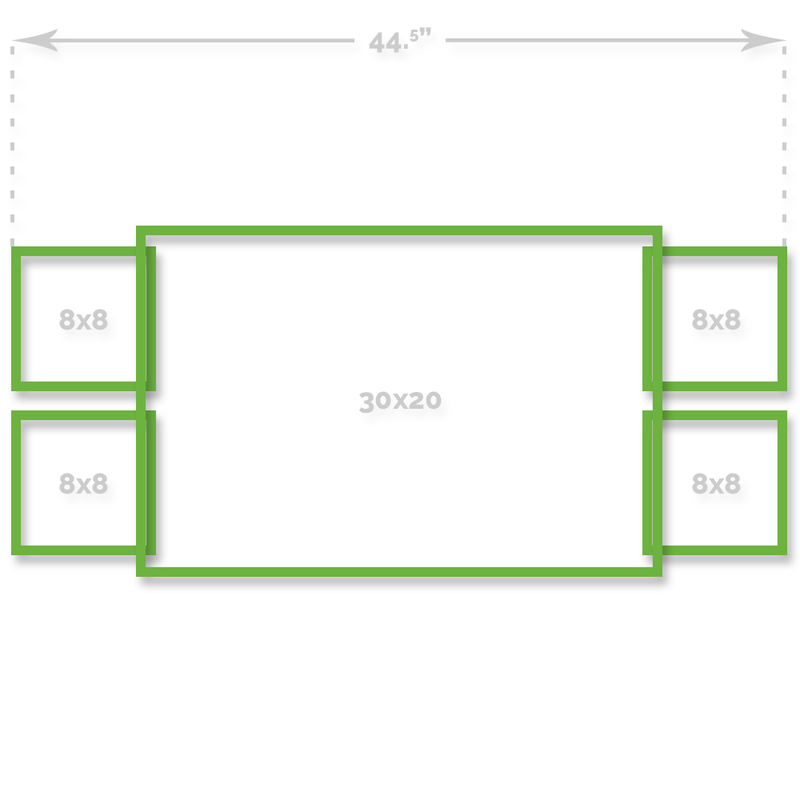 This does not include shipping or rush fees. 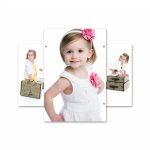 This offer may not be applied to previous orders, or combined with any other sales, offers, discounts, gift certificates, Canvas Cash or Simply Cash. 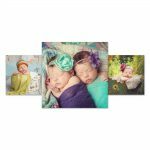 When ordering through ROES, the price seen at checkout will be the full product price, but your card will not be charged until you get an adjusted invoice with the discount applied. 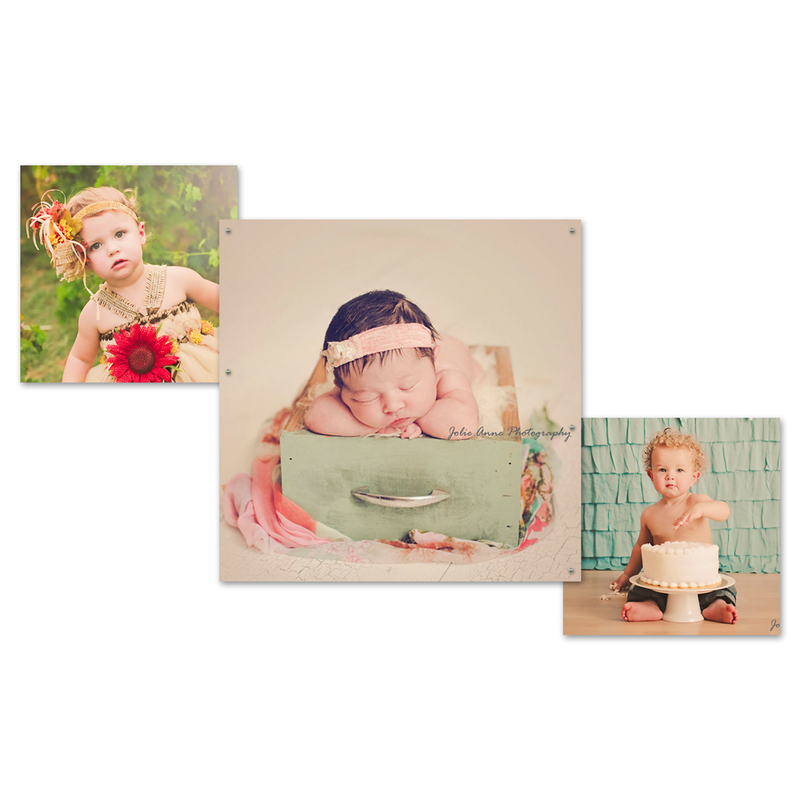 Due to the volume of orders during sales, turnaround time may be longer than usual. 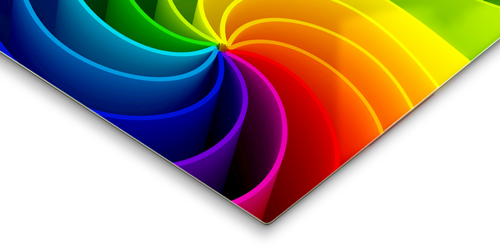 Contact Customer Service for expedited shipping & turnaround options if you need your product sooner. 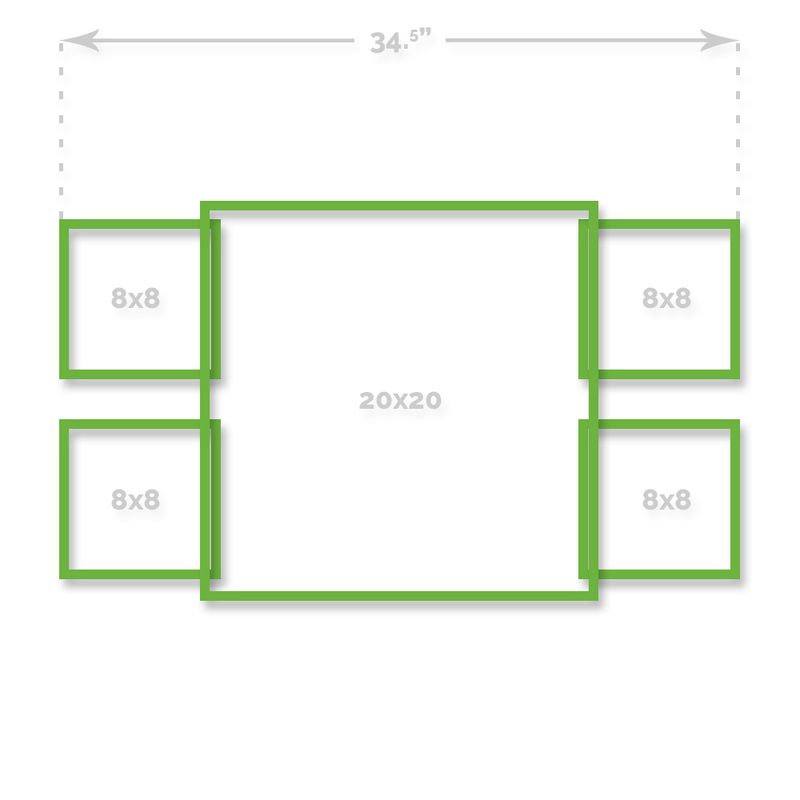 Code is only valid on the product listed above; cannot be traded for cash or other products.